When published books are reissued, it’s unusual to get any critical attention at all, so I was thrilled when I learned that Ellis Shuman recently reviewed CAFE NEVO for “The Times of Israel.” I think I enjoyed his review as much as he enjoyed the book–so much so that, with his kind permission, I am sharing it with you today. CAFE NEVO, originally published by Atheneum and New American Library, was out of print for a long time until my friends at E-Reads brought it back into the world in a brand-new ebook and paperback edition two months ago. To me it feels as if not only the book has been resurrected, but also its characters: Emmanuel Yehoshua Sternholz, the waiter and proprietor of Cafe Nevo, and its other cantankerous, argumentative, but brilliant habituees. I love these characters dearly, and I’m so glad that new generations of readers will now have the chance to discover them. I know that there are endless new books coming out, clamoring for attention, and rightly so. But I’m hoping that readers who know my work will make some time for CAFE NEVO. I am writing these lines on my laptop as I sip my morning cappuccino. Like many who work in Ramat Gan’s Bursa district, my day begins with a cup of steaming hot coffee professionally prepared; there are many coffee shops and cafes in the neighborhood. Some people linger over their coffee, catching up on iPhone messages and answering emails; while others, like me, pull out their laptops and type away, undisturbed by the grinding of coffee beans; the hiss of steam escaping as milk is heated; and the swish of credit cards as orders are recorded. Go back twenty five years. 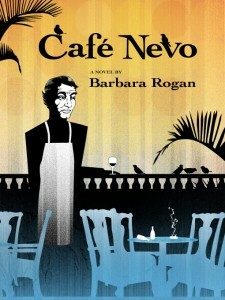 The fictitious Café Nevo of the Barbara Rogan novel of the same name is the “oldest and certainly the grungiest of the Dizengoff cafés”. 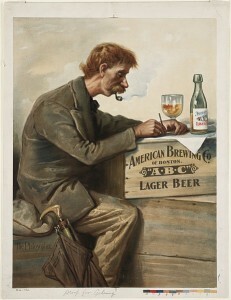 The coffee shop, originally established by two enterprising Polish brothers, attracts not only common workers, but “writers, actors, and artists who by virtue of their socialist ideology styled themselves members of the proletariat, but who in fact constituted the Tel Aviv elite of their day”. “If they were that good they’d be working,” one of the characters of the novel says of Café Nevo’s clientele. “Nobody with any serious work to do hangs out in cafés”. The café serves as just the center of this wondrous stage. 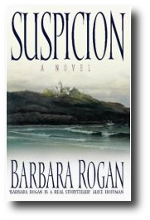 Rogan’s novel takes us into the lives of its regular customers one by one. We meet a cabinet minister with secret real estate deals in the West Bank; a celebrity prostitute who only takes on Jewish clients and ends up pregnant by one of them; a disillusioned kibbutznik who walked away from his Israeli army service, upsetting not only his IDF general father but the entire kibbutz; a young painter who sets up her studio on Sheinkin when that street was still affordable; a famous Israeli author at odds with his Palestinian collaborator on an anthology; and the author’s estranged wife, who has a casual affair with that same Palestinian. Café Nevo, the book, transports readers to Café Nevo, a coffee house that was trendy long before there was a trend to visit gourmet coffee shops on a daily basis. Today Israelis flock to the local Aroma, Arcaffe, and Café Café chains and drink their espressos, their café hafuch, and their simple, instant nescafe, without worrying whether a jealous and exacting waiter will refuse to take their orders. As for me, I will finish my cappuccino, think about the memorable Café Nevo, close my laptop and continue to my office. Café Nevo was originally published in 1987 but has just been re-released in both e-book and paperback editions. 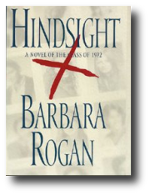 Barbara Rogan lived in Israel for many years and was the founder and director of the Barbara Rogan Literary Agency. During that period, she served on the Board of Directors of the Jerusalem Book Fair. Her new novel, A Dangerous Fiction, will be published in July. CAFE NEVO is available on Amazon or B&N or your favorite online bookseller. It’s no secret, by the way, that I based my fictional Cafe Nevo on a very real cafe in Tel Aviv called Kassit. Last time I was in Israel, we had an interesting encounter with that site. I wrote about it here– have a read, if you’re interested. BREAKING NEWS: If you’re on Twitter, let’s make a date! 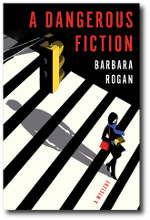 I’m appearing on #LitChat this Friday, Sept. 6, between 4-5, to talk about A DANGEROUS FICTION and my checkered career as a writer/editor/literary agent. Don’t know about you, but audio books are as essential to my car as gas. I wouldn’t get much cooking done without them, either. So I’m delighted to announce that A DANGEROUS FICTION is now available as an audio book, just issued by Audible.com. I understand that you can get it free if you join the service. 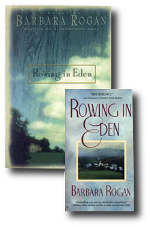 This entry was posted in A DANGEROUS FICTION, Barbara's books, Blurbs, Reviews and tagged A DANGEROUS FICTION, Cafe Nevo;, Madeleine L'Engle, My books. Bookmark the permalink. I’m such a sucker for settings like that – where you feel as if you’ve dropped into a moment in time in a place that’s actually timeless.